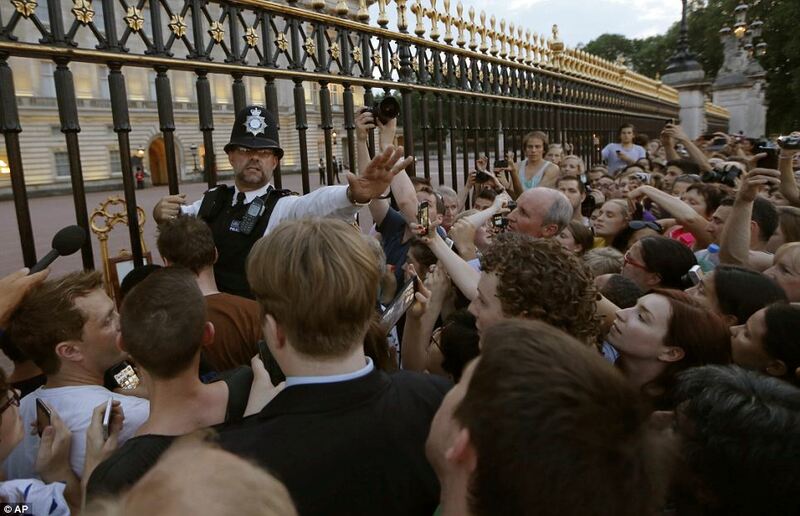 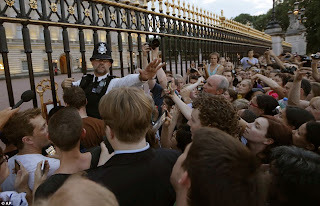 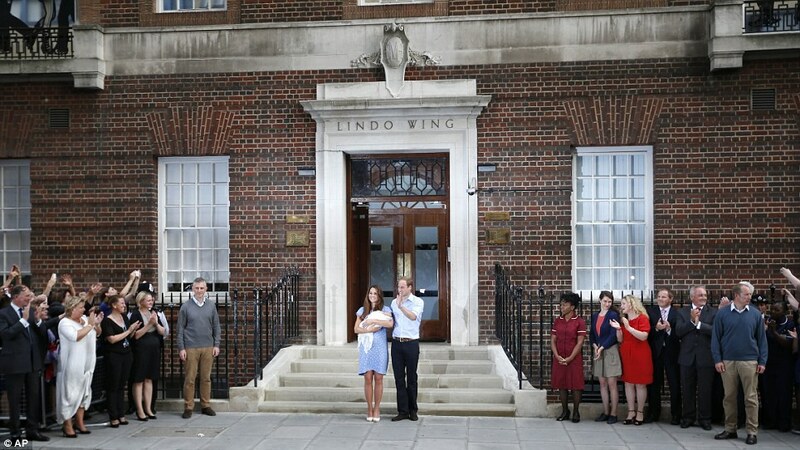 The world has seen the royal baby for the first time as the future king left hospital with his ecstatic parents yesterday evening, who revealed they had not yet chosen him a name. 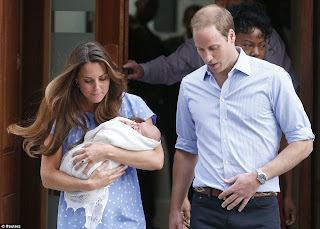 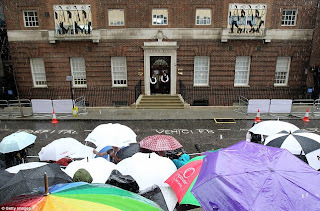 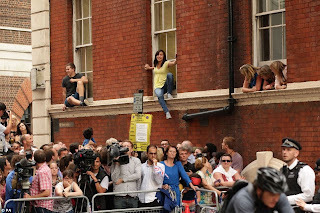 Prince William and Kate waved and smiled broadly to the waiting cameras as they held their prince on the steps of the private Lindo Wing at St Mary's Hospital in London, 26 hours after he was delivered, weighing 8lbs 6oz. 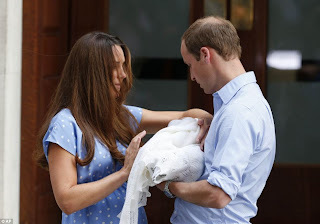 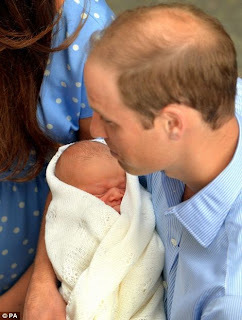 As they left St Mary's carefully cradling their precious child, the Duke of Cambridge followed the steps his parents Charles and Diana took with him 31 years ago, when he was born there on June 21, 1982. 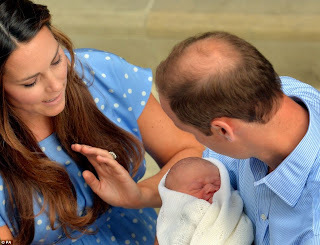 The Duchess wore a lilac purple dress, with her long hair falling in waves around her face. 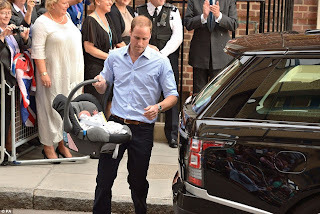 The new father wore a blue open neck shirt rolled up to his elbows with black trousers. She revealed that her clearly hands-on husband had already changed his first nappy. 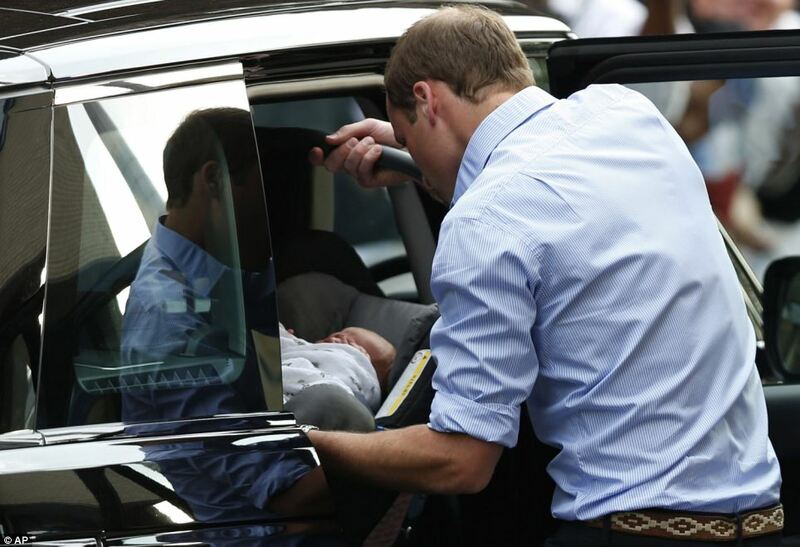 The couple then returned to the hospital as William held his son, swaddled in a blanket, before bringing him out again in his car seat. 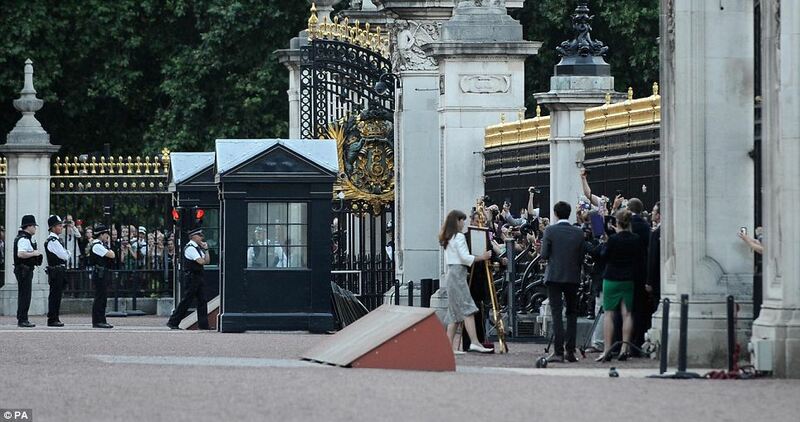 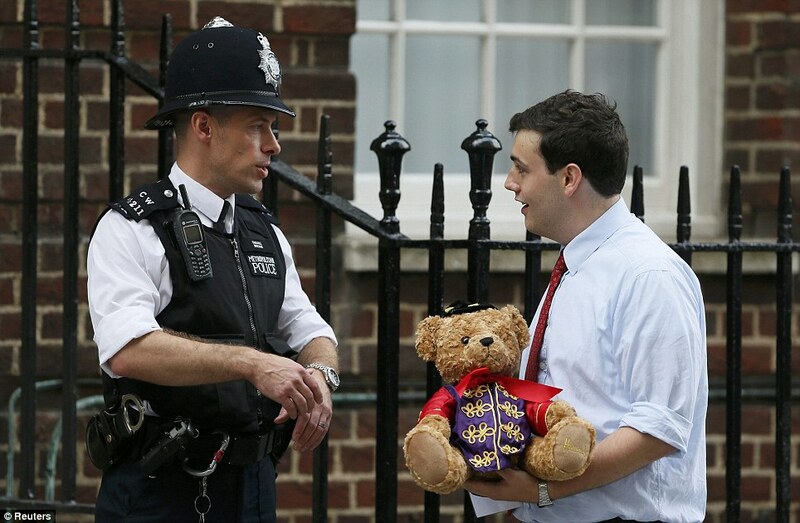 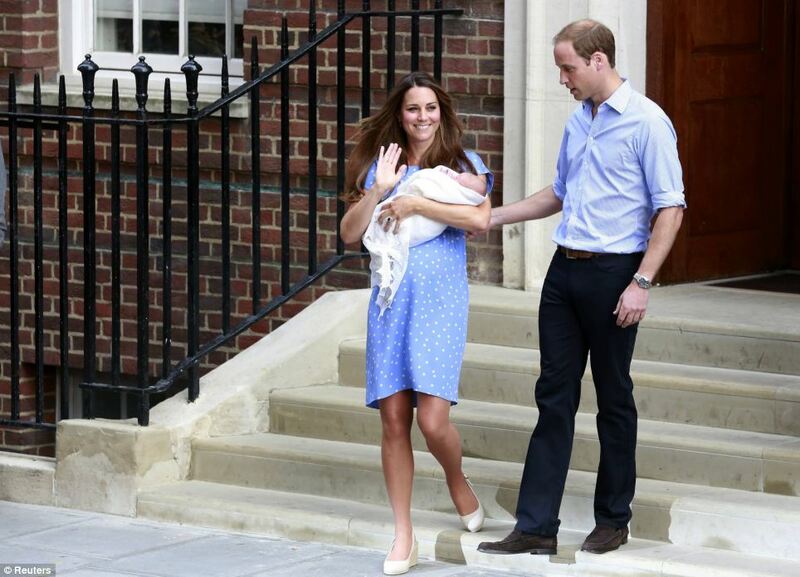 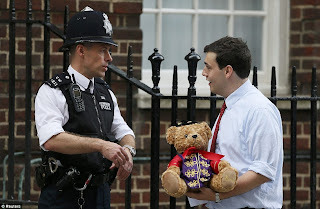 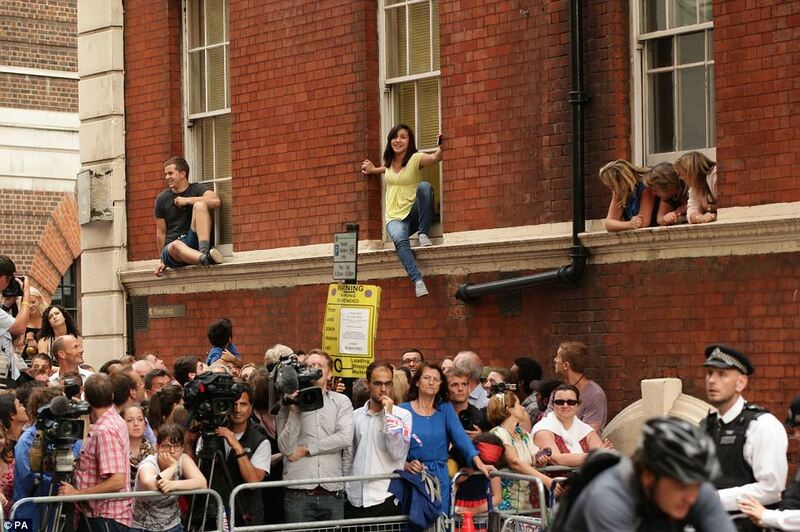 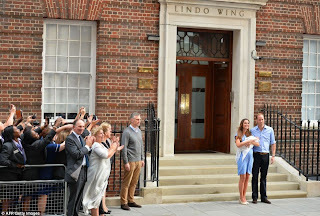 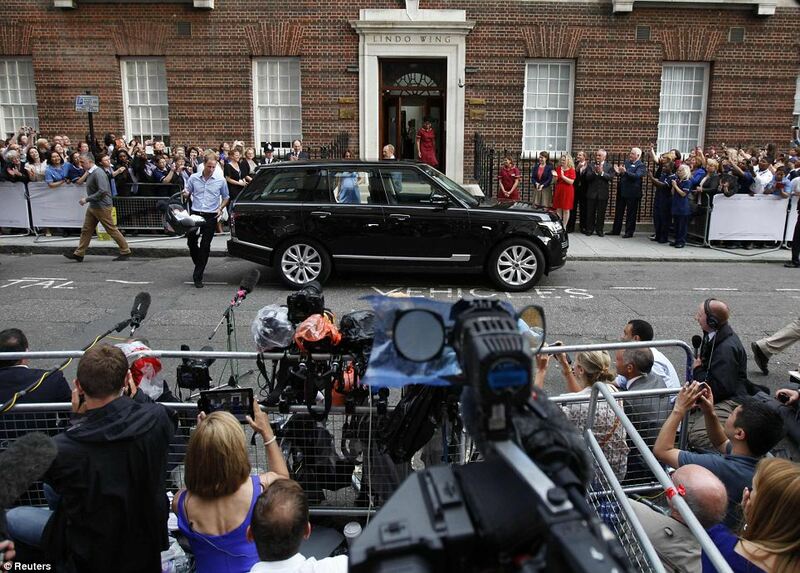 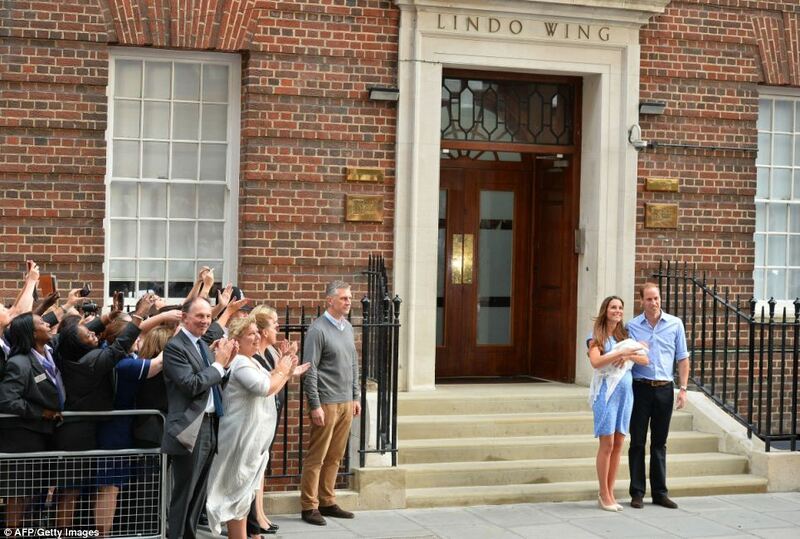 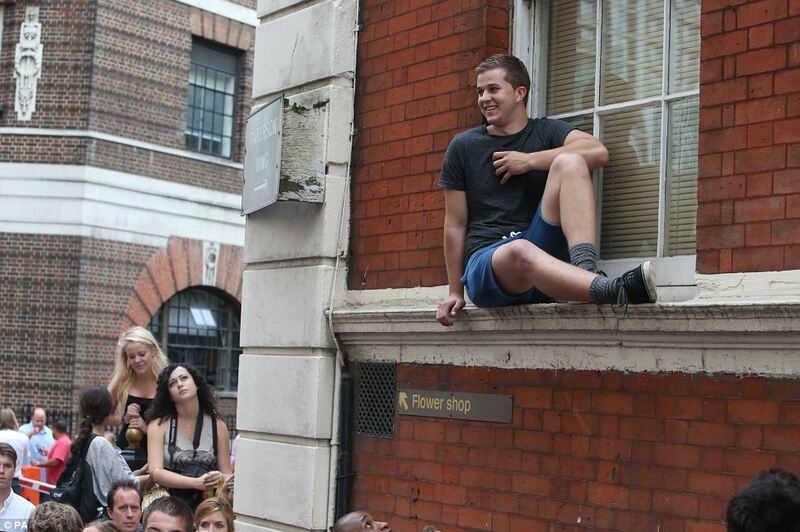 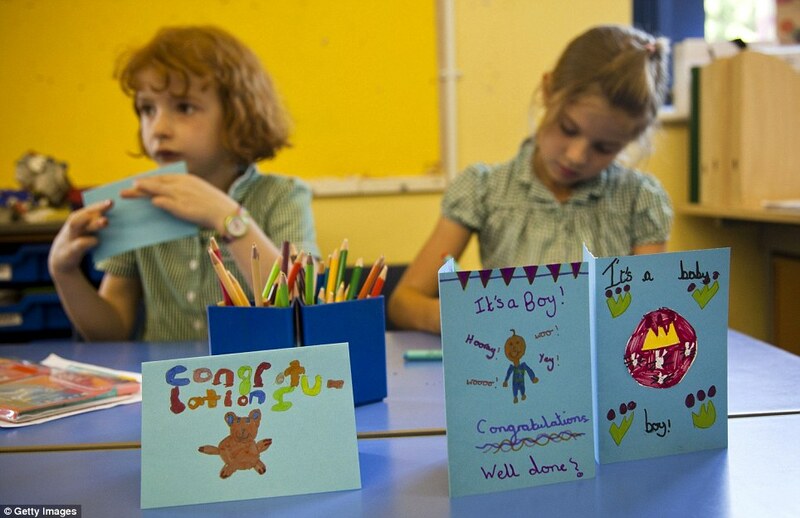 The Prince was heard to affectionately call Kate 'Poppet' as he ushered her back to the Lindo Wing. 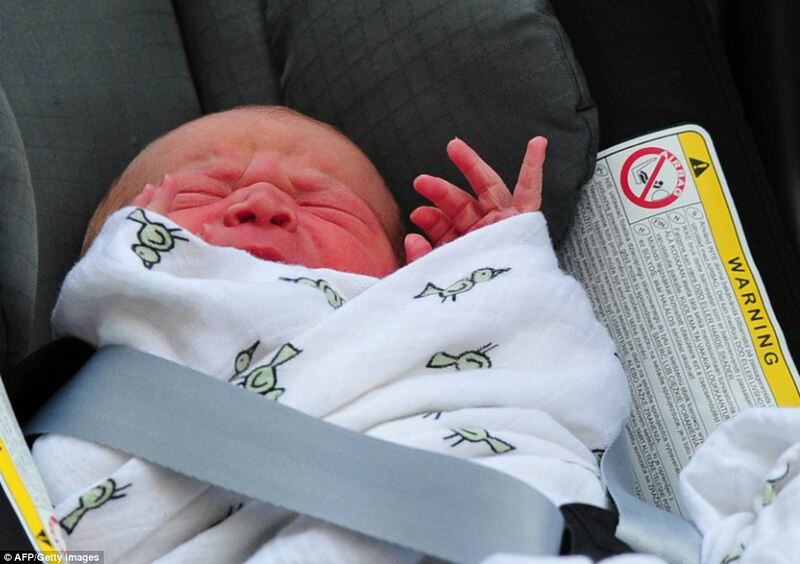 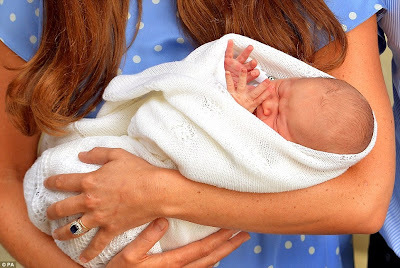 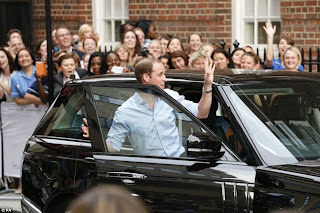 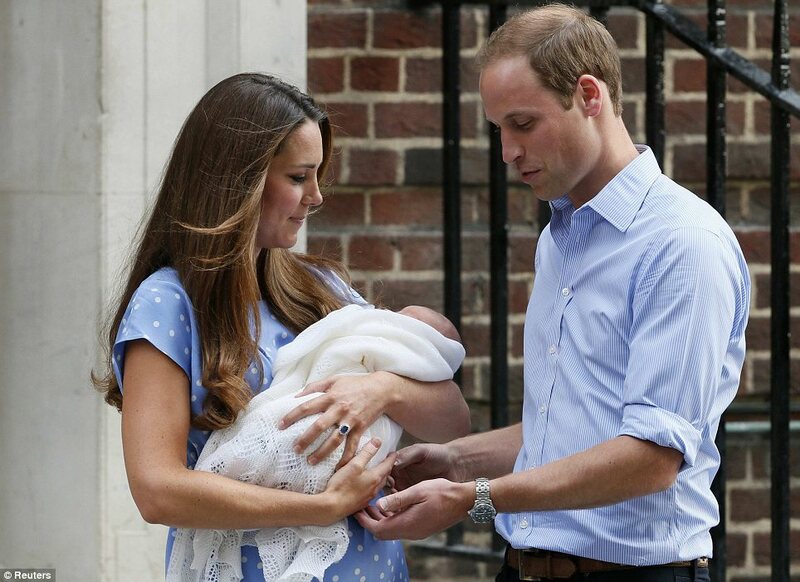 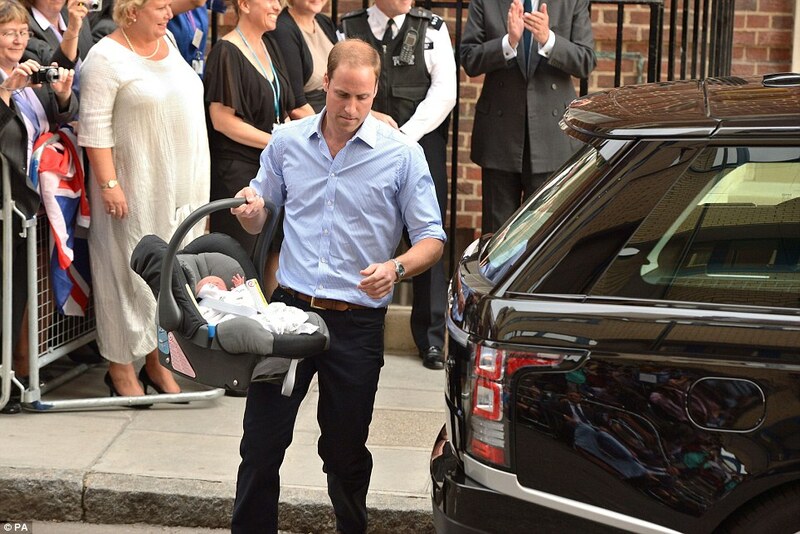 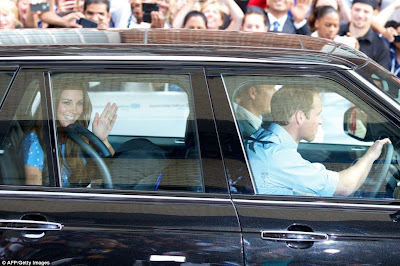 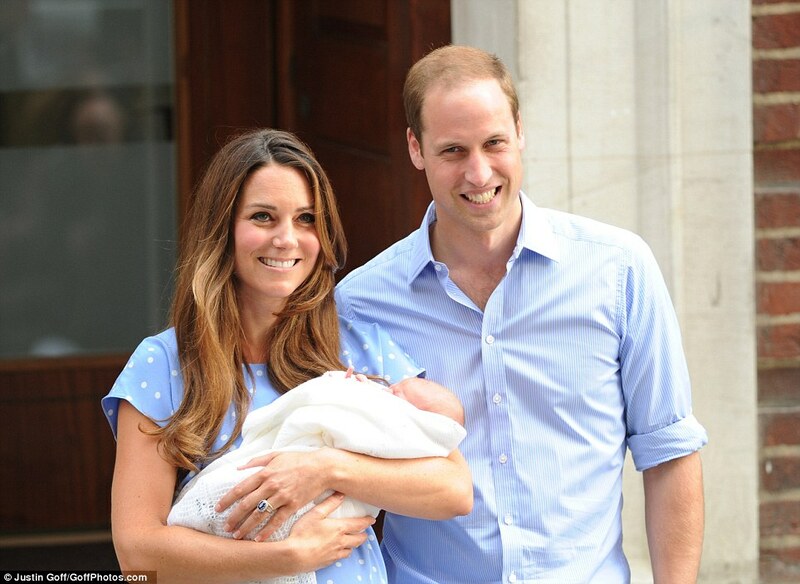 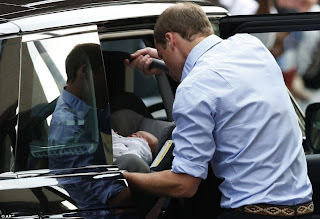 William then visibly breathed a sigh of relief when he successfully installed his baby on the back seat with his wife, before driving them home to Kensington Palace cheered on by a huge crowd. 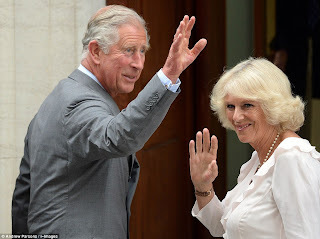 Their child is now third in the line of succession, displacing Prince Harry to fourth and the Duke of York to fifth, although he may not become sovereign for half a century or more. 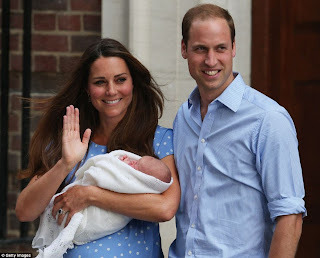 The Duke, Duchess and Baby Cambridge travelled home to Kensington Palace, and will spend two weeks there while William is on paternity leave. 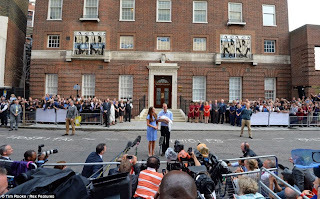 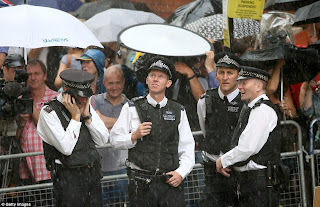 Huge crowds of well-wishers and journalists from all over the world have been waiting outside the west London hospital ward for weeks, first to be there when Kate went into labour and now as the couple left with her firstborn child. 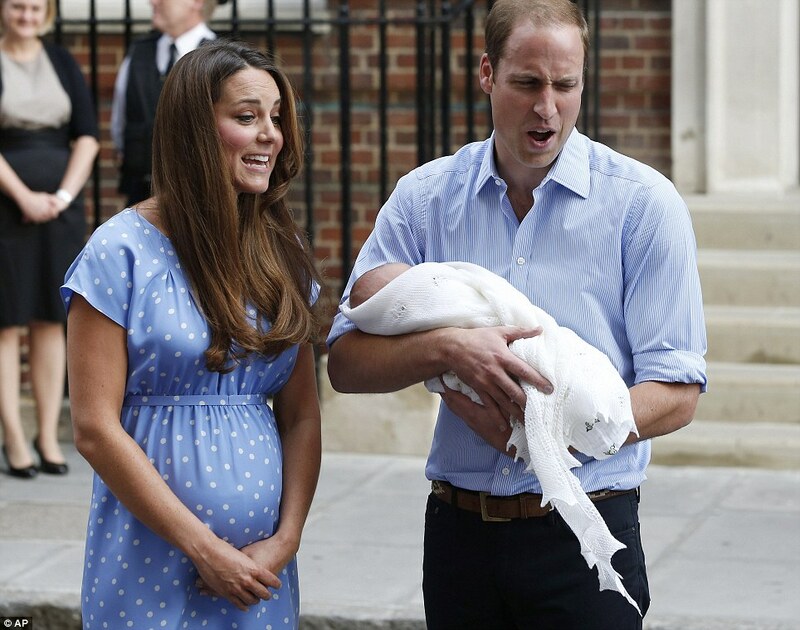 Meanwhile, last night the Queen told guests at a Buckingham Palace reception she was 'thrilled' at the birth of her great-grandson. 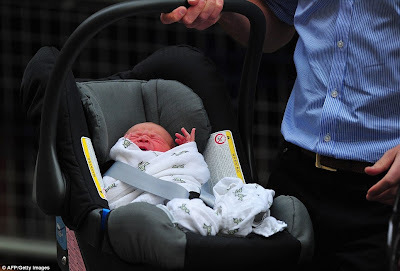 Earlier the royal baby's grandparents met him for the first time, and soon afterwards Kensington Palace confirmed the Duke, Duchess and baby would leave hospital. 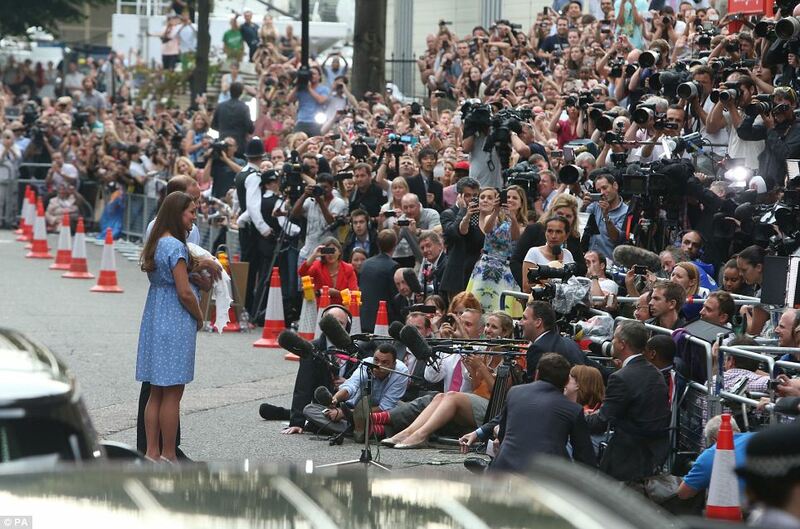 Kate's sister Pippa was said to be there waiting for her. 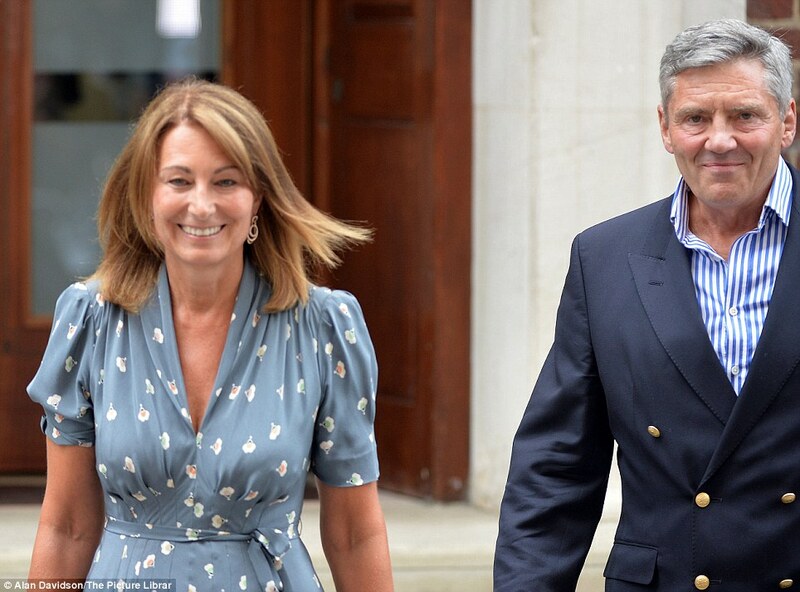 Carole and Michael Middleton were the first to arrive at the private Lindo Wing at around 3pm yesterday, with Prince Charles and his wife Camilla following them at 5.30pm after being rushed to London by helicopter after two-days carrying out official duties in Yorkshire. 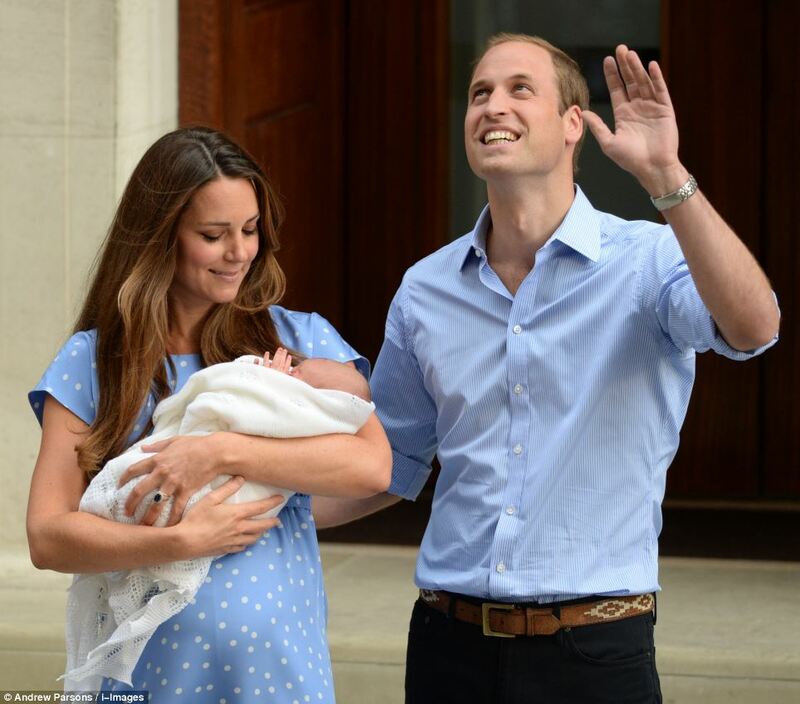 When he left around 10 minutes later, Charles said the baby was 'marvellous' and told journalists: 'You'll see in a minute'.